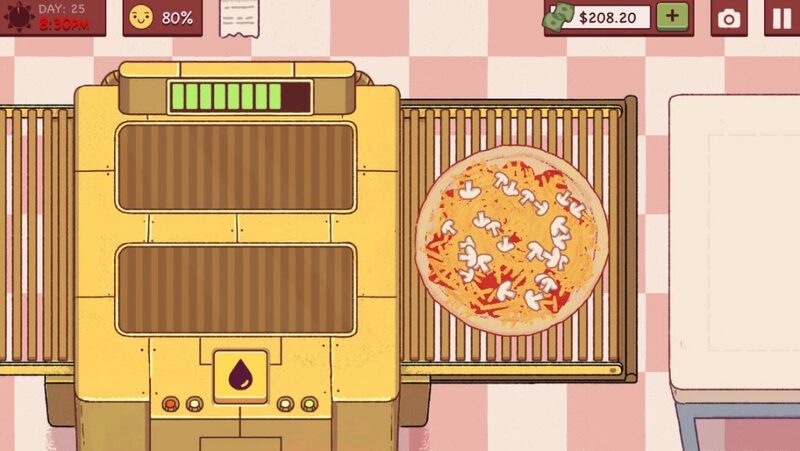 Good Pizza, Great Pizza is a mobile “cooking” game. 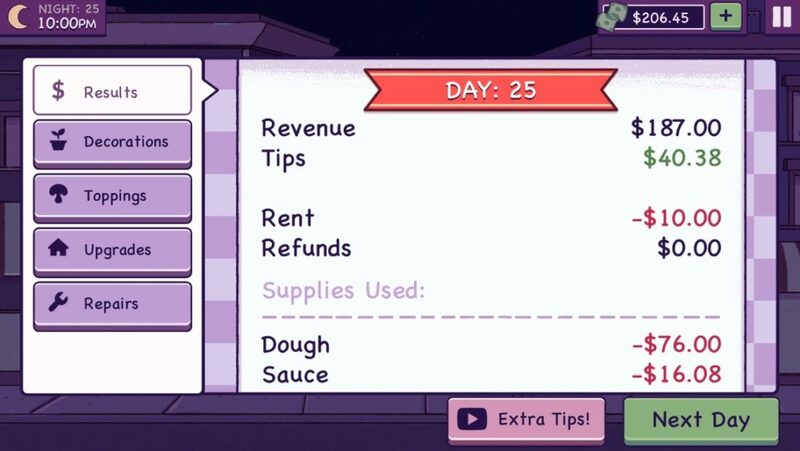 In the game you have to cook your pizzas for specific customer needs, just like a typical cooking game. Players need to work against time and make as much profit as they can so they can upgrade their restaurant. See gameplay below. Note: in the case of this review I have considered the reviews in the app store to base my comments together with heuristics mentioned in my initial post. a) Not a typical cooking game. By looking at the reviews in the iOS app store, it was possible to see that many comments were positive towards the characters and the “look & feel” of the game. b) No IAP options. Again, one comment in the reviews mentioned that are no IAPs in this game and that makes it different from others like Cooking Fever and other famous cooking games. c) Character’s personality. Based on the reviews, the NPCs personalities were crucial for the game to be considered as fun. However, players mentioned that they would not let their children play because the characters were “very rude”. Although this could be seen as a problem it has still good points since it attracted a specific demographics. d) Top-down view and controls. With a top down view the movements to make the pizza are different. You have to spread the cheese and tap to add ingredients. This gives a variety on the gameplay in general. Also, the UI works well and it is easy to see the impact of the actions in the general satisfaction bar. However, it might be difficult for some players who might need to zoom in a bit to read. a) Control the rudeness of the characters. Perhaps in the menu, players could have a meter to control the “rudeness” of the characters. Or maybe this could be something that the player could unlock after a few points. b) Balance between upgrade and gameplay. Since it is a repetitive game, it can become a bit boring if the upgrades are difficult to achieve! c) Business model. Since there are no IAPs in the game, devs could think about how they are monetising from this game since it is a free game. Of course, there are ads between some interactions, but perhaps players could have the chance to give a “tip” to the devs. This could fit the narrative of the game. d) It is comics sans. It looks like comics sans and it might be. No problem (apparently) with this font, but perhaps it could have an option of not having too much text in the HUD area. This could be very difficult to read, especially if you are targeting “older” demographics. e) More options for clients. NPCs asked for vegetarian pizzas, and many other options. What about adding more of these crazy diets, low-carb, keto, vegan, pescatarian, and many others? It could give an extra element of “fun” for players. This could give an extra difficult for the game and comments that players could relate to. Overall, it was a fun game to play and from this review many of the reasons are due to the NPCs and the visuals. Hope devs consider improving the game, it has a lot of potential!